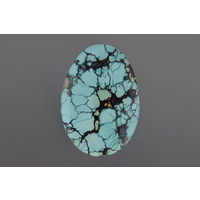 Turquoise is one of the oldest minerals used by man as a gemstone. It was used by the ancient Egyptians, Aztecs and Chinese. 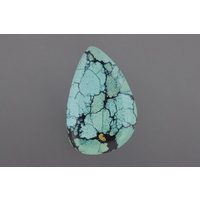 Most turquoise today is usually stabilized by epoxy under vacuum. 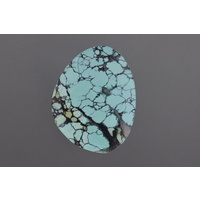 A stabilized stone is less likely to absorb lotions and body oils, which may change the color of the stone over time. All treatments are disclosed in the stone description. 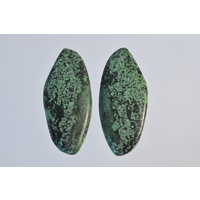 China has mines that produced a great deal of turquoise however there are rumours that the Chinese Government has put a hold on mining for turquoise. This will make the material much more scarce and push up the prices. 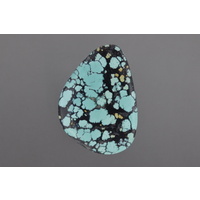 There are only a handful of turquoise mines in the American southwest that are commercially operating.